Shorts of all kinds are set to be big for Spring '19, and SIMON MILLER's two-tone pair is especially suited to sunny beaches and balmy days in the city. 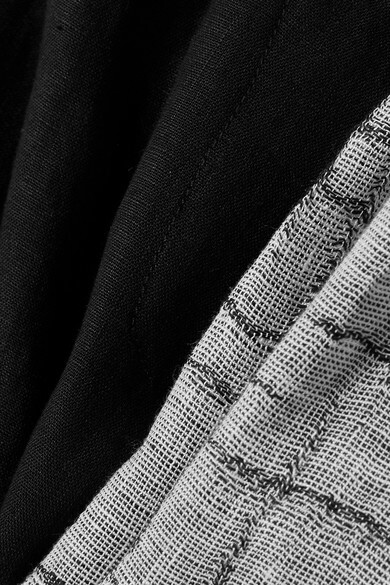 They're cut from super lightweight linen-blend that looks even better when it's creased, so they're perfect packing material. Add the matching cropped top while exploring new places. Shown here with: SIMON MILLER Bucket bag, TKEES Sandals, Alighieri Necklace, WALD Berlin Necklace.